Posted February 7, 2015 by HPGhotrodLogin & filed under Uncategorized. Posted February 2, 2015 by HPGhotrodLogin & filed under Uncategorized. On Saturday January 31 hundreds of model car enthusiasts showed up in the quiet town of Santa Clara CA. They filed into the show hall at the Great America Convention Center to one of the largest model car shows in California. This is an annual event in Santa Clara and the NNL has annual events all over the country. The show is set up with the model display tables on one side and selling tables on the other. 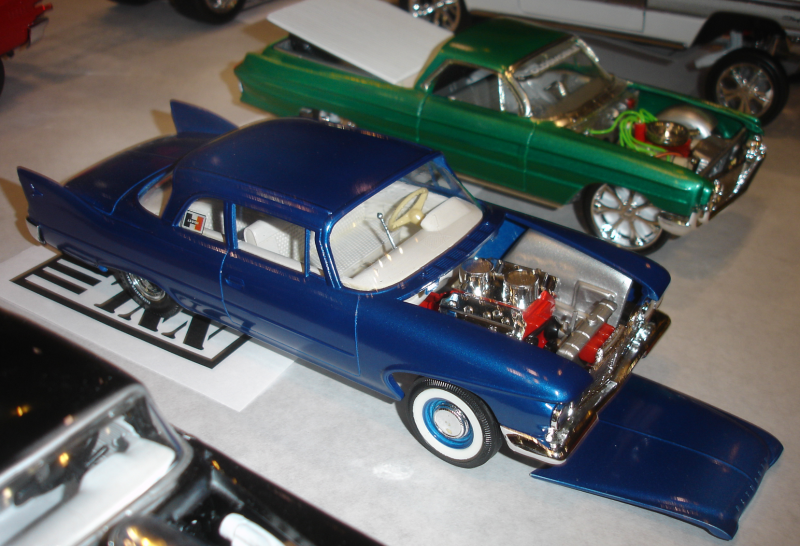 The show tables fill up with the best-built and wildest car kits from the best builders in the area. 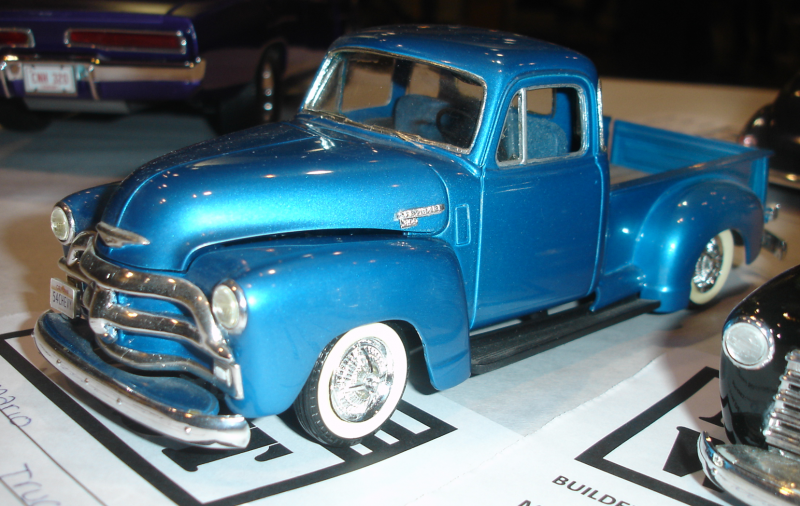 The show is open to all and is an eye opener for the novice builder or those unfamiliar with the hobby. The swap meet is always fun with lots of vintage and modern kits for sale. Not to mention the decals and photo-etched accessories. 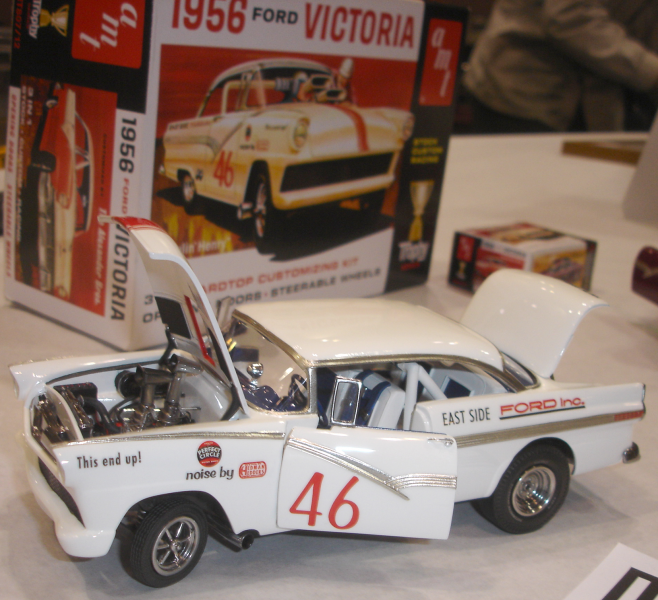 Several of the vendors have huge boxes of old model parts and built kits. Scavengers like me just love that and dig through the boxes of junk for hours. I saw plenty that I wanted to buy but exercised uncharacteristic restraint and only came home with two. 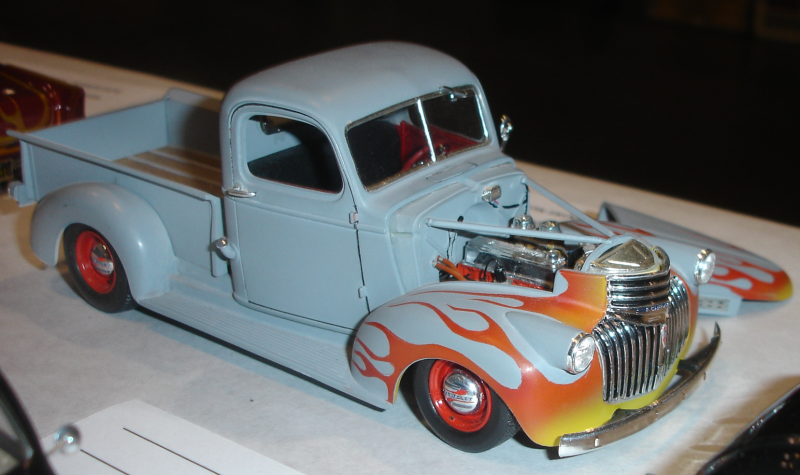 I wanted the old Revell ’54 Chevy panel for some strange reason. Actually I have a few build ideas in mind. Also, I had been looking for a cheap un-built AMT Deora kit. I was able to acquire one still in the shrink-wrap for a mere $10.00. Years ago when I was doing the Sketch Pad for Scale Auto, I suggested crossing the Little Red Wagon drag truck with the Deora. 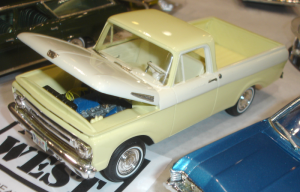 Since both are based on the same Dodge A-100 truck it should be fairly easy. 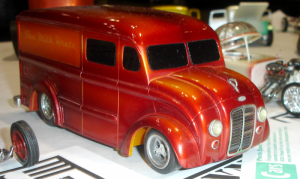 I called it the Little Red Deora. I noticed that someone recently built one and it made it into the pages of a model magazine. Now that I have the kit, the Little Red Deora is now officially on the waiting list of projects. I should get around to it sometime in the spring…of 2031. 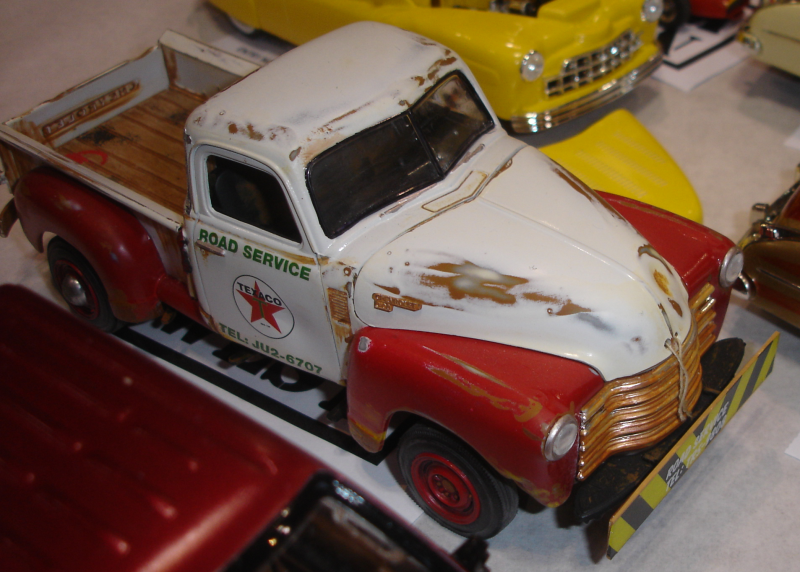 I saw two build-ups of the AMT ’50 Chevy Texaco service truck kit that I provided the artwork for. Brad Diemer built a very sanitary green and black version that I had painted for the box side panel. He’s an excellent builder and a nice guy. We chatted for quite a while and that evening he went home with his own Hot Rod Bunny book. Then there was a very cool weathered red and white Texaco truck from the illustration on the box lid. Actually, I wanted the illustration on the lid to be a used truck with a few dents and scratches. 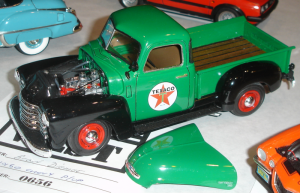 It was thought at Round 2 that it probably wouldn’t pass with Texaco’s approval so it was illustrated in pristine condition. Sean Langer had several really nice kits. He’s one of the best painters I’ve seen. He uses real automotive paint and a large air gun much of the time. Add several coats of clear and his paint jobs look very deep and flawless. I thought the color combo on the ’62 Ford truck was great. 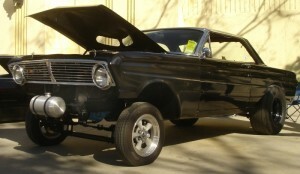 Some else brought the Trumpeter ’64 Falcon Ranchero custom built as a panel or sedan delivery. 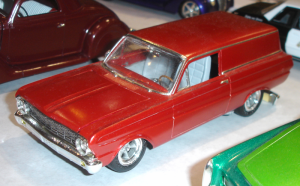 I provided the box art for the Falcon series and heard that their was a sedan delivery planned at one time. However they were too scarce to find a real car to provide dimensions. 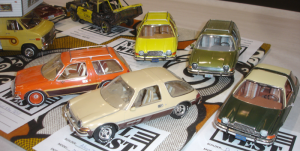 I saw a funny build-up of the Revell Pontiac Club De Mer show car. This is one of the best uses for that kit I’ve seen in a while. I provided the appropriate background. Speaking of space another builder brought his bevy of AMC Pacer kits. All were factory correct colors and trim. I think he has the subject covered. A nice AMT ’56 Ford Gasser built like the vintage box art. Very cool. 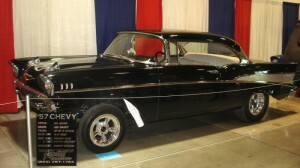 I also liked the old AMT ’60 Chevy El Camino custom. It was executed very well. Speaking of Rancheros and El Caminos… here are a few interesting takes on the subject. 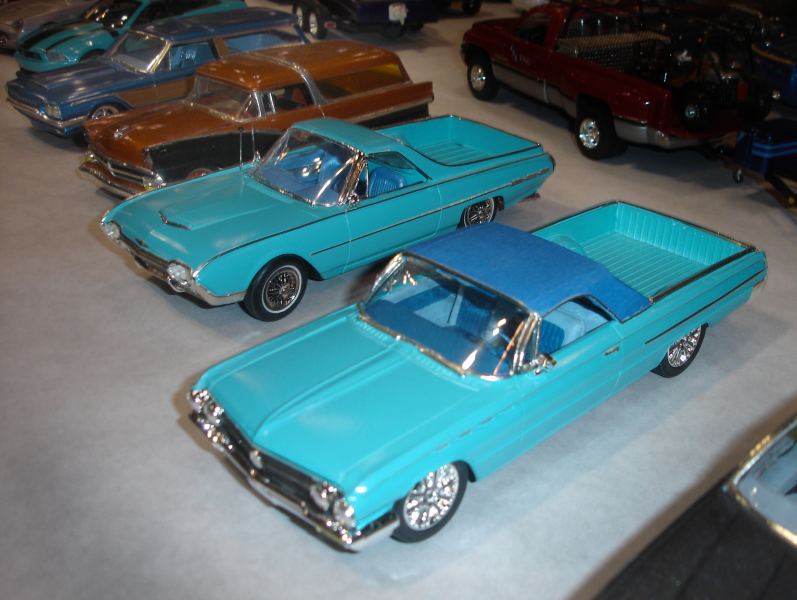 The AMT ’62 Buick and Thunderbird kits converted into domestic haulers. A few nice truck kits that caught my eye. 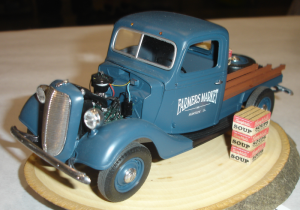 The ’36 Ford was believable as a farm truck. 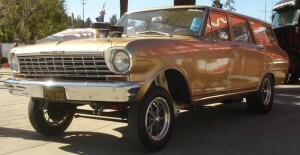 Above; I just had to take a picture of the ’60 Plymouth 2 door sedan track car. Although not quite finished it had my attention. Also Robert Fletcher, who is best known for his wild kit-bashed vehicles brought some box stock kits! Hodad and the AMT Wackie Woody. Nice job Fletch. Oh, and he is a proud owner of an HRB book too! 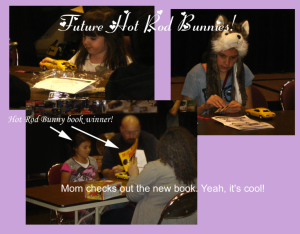 And finally, Since this is the Hot Rod Bunny blog it can’t be complete without tipping our hats to the next generation of Hot Rod Bunnies. 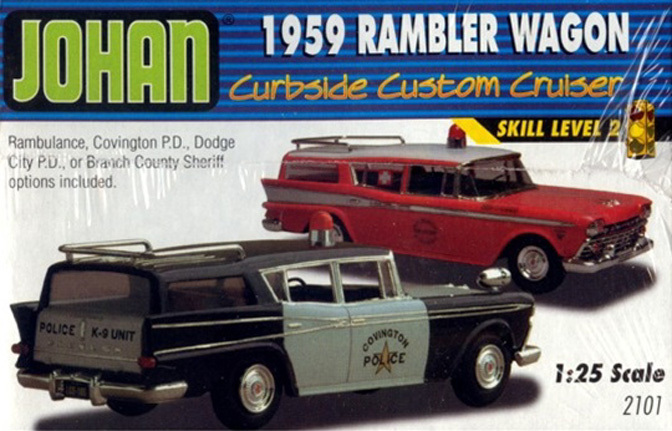 They were at the front table with the boys assembling a free Revell snap kit of the ’69 Camaro. Posted January 28, 2015 by HPGhotrodLogin & filed under Uncategorized. 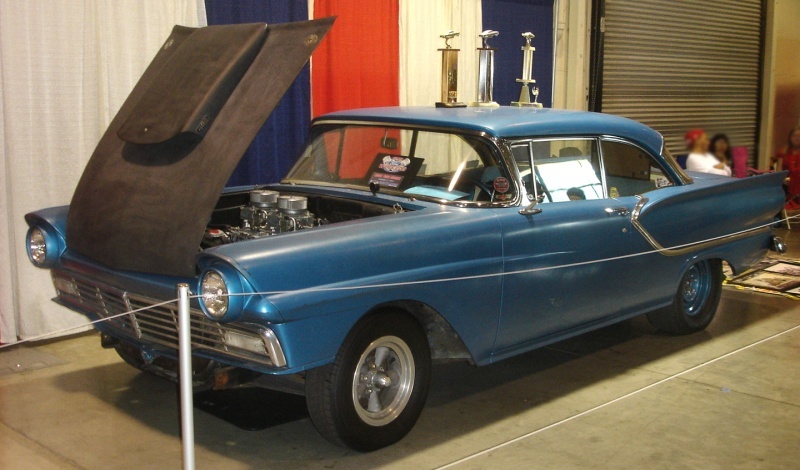 If you were able to attend the 2015 Grand National Roadster Show in Pomona you may have noticed that there were a lot of neat GASSERS parked all over the place. They were in the buildings and in-between the buildings! 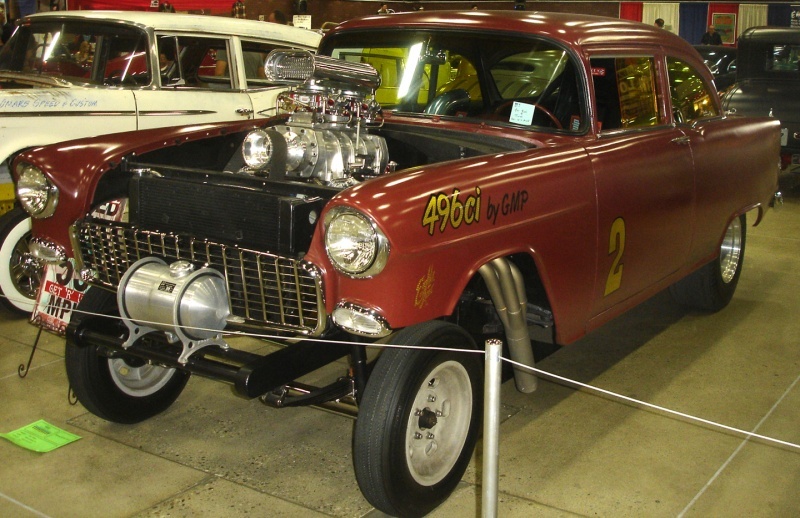 A gasser, for those of you who are a little fuzzy on the subject, is a drag car that uses gasoline and not nitromethane as its racing fuel. 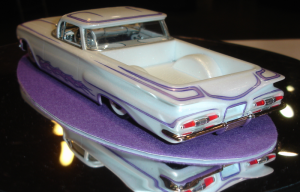 In most cases they were stock looking automobiles with mostly metal bodies that have a racing motor. They were lightened by unloading the extraneous parts. Most guys used to lift up the front end, sometimes with a solid straight axle in the front. I think the idea was to shift the weight to the back wheels for traction. 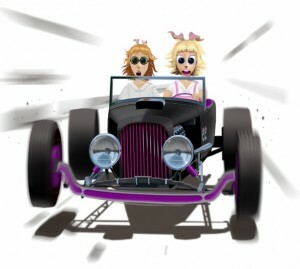 If you have questions about car lingo there is a hot rod dictionary in the back of Hot Rod Bunny book I. When I was touring the show I couldn’t help but notice the amount of old drag cars that attended. Old customs and rods were what I expected to see. 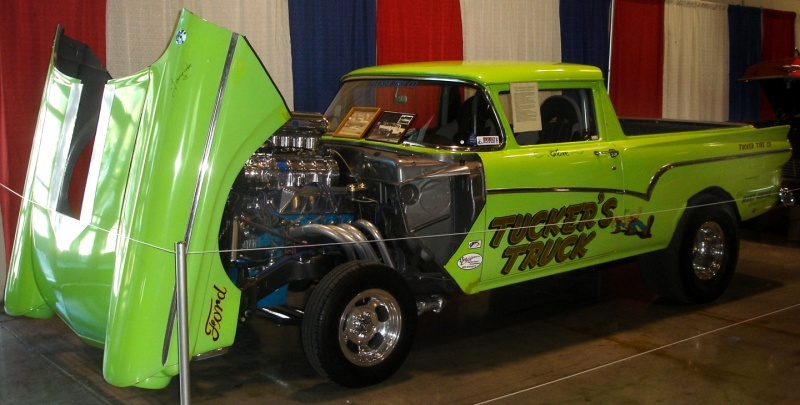 After noticing all those cool old drag cars, I wanted to catalog many of the cars at the show that weren’t Willys gasser drag cars. 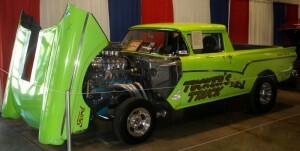 The Willys is probably the quintessential drag car but I wanted to focus on the other cars that were there too. In Hot Rod Bunny II Beverly drag races a ’34 Ford- not a Willys! That book hasn’t yet hit the publisher but it’s something for the HRB fans out there to look forward to. So enjoy the pictures of the cars that were there. 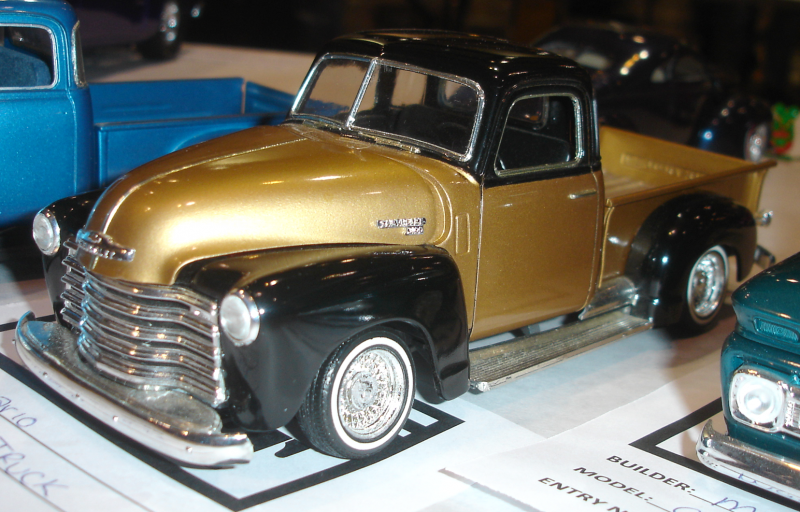 I will have several different blog articles about the other customs and rods that attended. 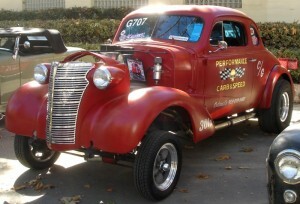 This is a ’38 Chevy gasser that was one of my favorites. Love the blue glass! There were several Willys gassers but I wanted to feature the other cars that showed up. 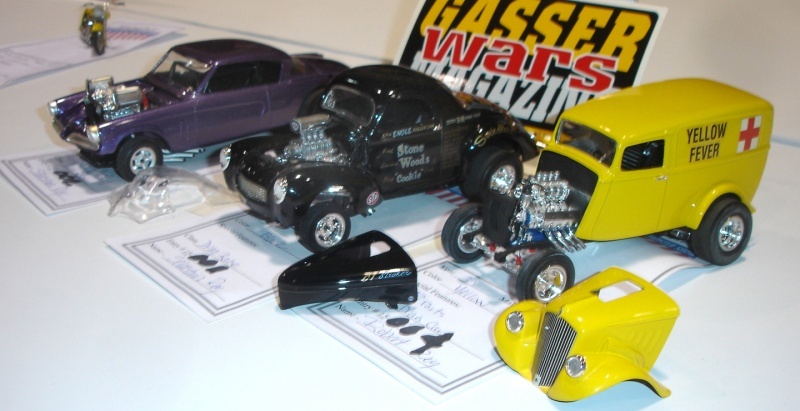 Gasser Wars Magazine had a nice display with several of these cars lining the wall. 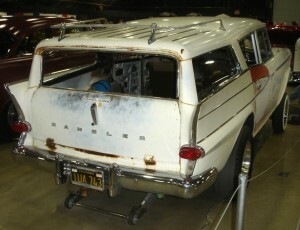 ’63 Dodge 330 2-door sedan at the Inland Mopars booth. I don’t know if it was a gasser but I love those cars so I included it. 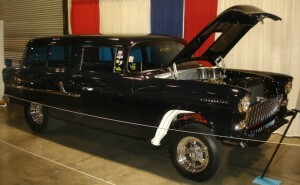 This was the show stopper! 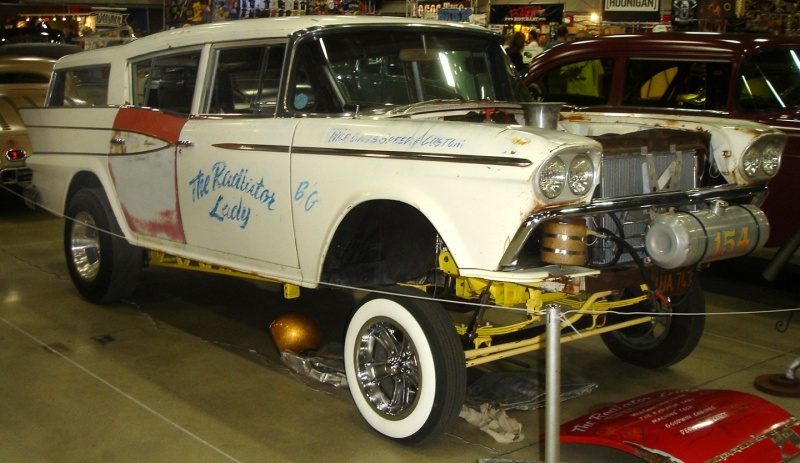 The ’59 Rambler wagon gasser was a huge hit and guys couldn’t help but photograph it. It had an Oldsmobile engine. It was displayed in the Suede Palace. 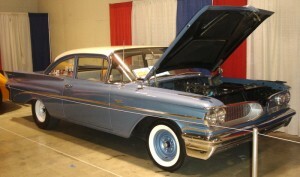 ’59 Pontiac Catalina 2 door sedan. Even Gasser model kits showed up at the annual kit contest. 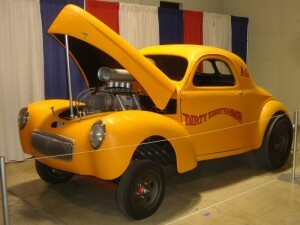 There were the usual Willys cars represented along with the AMT ’53 Studebaker. 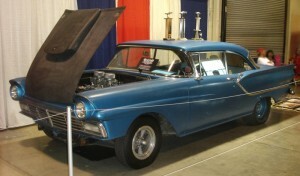 The “Yellow Fever” car won an award. This kid was lucky! 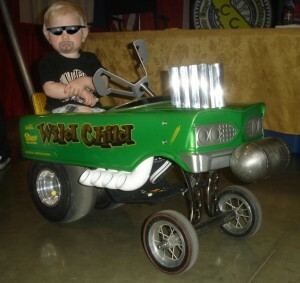 His dad made him a gasser pedal car/stroller. No, he didn’t have dark glasses and a goatee. I put those on him in Photoshop to disguise his identity. That’s one of those pedal cars that resembles a ’59 Pontiac in the front. 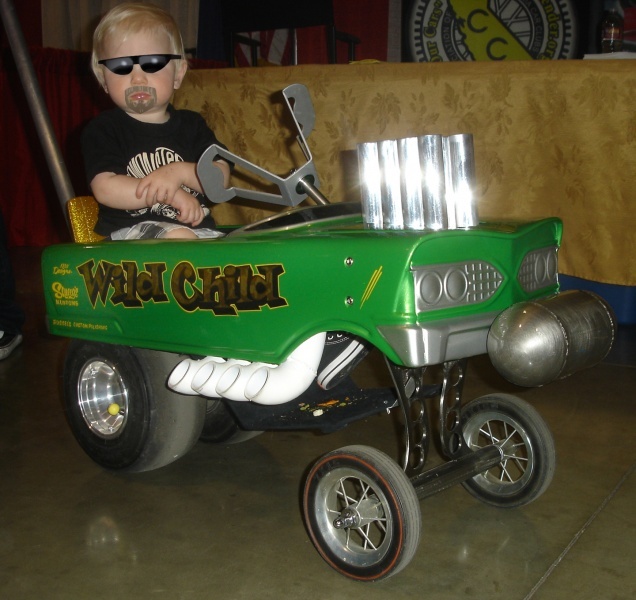 I used to collect old pedal cars when I was a kid but I never had one of those. They were fairly common back then but I never nabbed one. What is Hot Rod Bunny all about? Posted January 5, 2015 by HPGhotrodLogin & filed under Uncategorized. 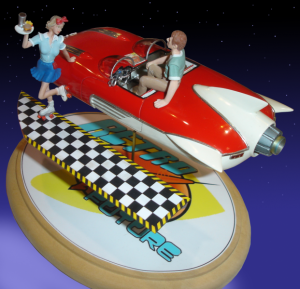 Well, for those of you who don’t know what Hot Rod Bunny is all about, it is about a girl making her splash in a man’s hobby. The first story takes place in 1964 when most young women thought about horses or husbands or college or whatever. Anything but cars! The main character’s name is Beverly Moon and she has two close friends at the orphanage. Their names are Brunhilda and Cynthia. Beverly is very different from her friends though. She’s a genius with a photographic memory! I decided on those character traits because I wanted to break the stereotype of a good-looking blonde being considered dumb. She’s not a dumb-bunny but a smart one with a good heart. She is also what I call a “true innocent”. She doesn’t have a condescending “tone” to her voice or a sarcastic meaning in her words. She says exactly what she thinks and most of the time it is something good and wholesome. She never expects someone to lie to her. She thinks they made an honest mistake and she is willing to gently correct them in front of everyone! Much to their embarrassment! When she looks at herself in the mirror she doesn’t see a beautiful blonde bunny. She sees what she would term, a “mal-proportioned” and “goofy-looking girl” with over-sized ears. She is convinced her friend Brunhilda, is the ideal for beauty in the bunny-girl world. Brunhilda is very attractive but basically average in body type. She’s built nice and slender and is certainly not invisible to boys! While Beverly is a genius, she is also socially naïve. Those two opposite characteristics in her personality provide the foundation for some funny situations. She has no clue how to approach boys or talk to them. Most of the time she’s not interested because she is certain they’re a bit touched in the head. And the poor girl can’t make head or tail out of their compliments! She takes everything literally. Since most boys and men act strange around her she thinks there was something wrong with them. But, the only thing wrong with them is the fact they are so taken by her beauty. Taken to the point of extreme distraction! They have a tough time forming sentences around her. They walk into benches and trip over things while gazing at her. In the bunny world, on a scale of one to ten…she’s an eleven! So, if you aren’t too distracted by her looks you may find her very entertaining and informative. 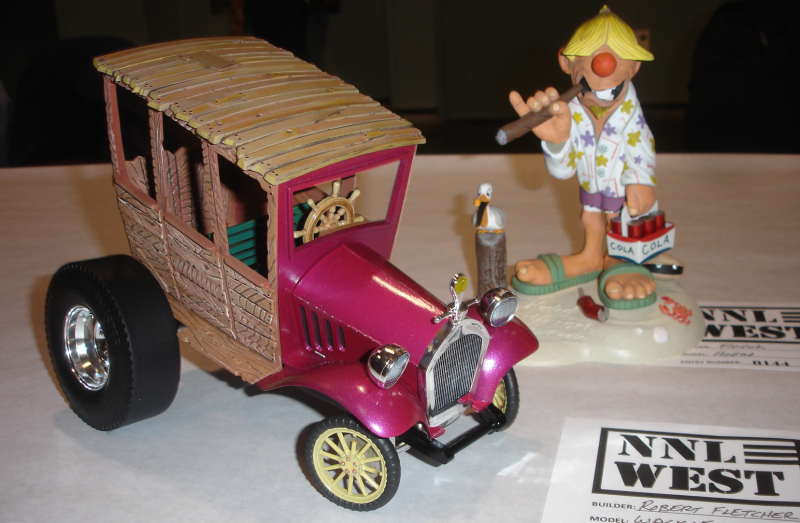 The character knows a lot about automobiles and is happy to share it with an audience. Willing or not! The whole book series deals with both her professional and personal lives. Here is how it was written; in book one, a heart of gold and a foot of lead, we start out in 1970 at a car show. The story “freeze frames” there while Beverly begins to tell her back-story. She briefly tells about her early her life as a small girl in an Indiana orphanage and growing up there. She answers the question on how she became a car nut! The bulk of the story takes place when she turns eighteen. She has to move out and be on her own so she gets a job at the local auto parts store. One thing leads to another and she is confronted with great opportunities to be around cars but unfortunately she has to be around boys too. She goes through some very rough times and the weird events actually lead her down the right path. At the end of the first book the story goes back to 1970 and the reader finds out who is married to whom and which of her friends is dating and which one is engaged. So the reader finds out how everything ends. In the rest of the books we find out how they got there. The strange circumstances surrounding the girl’s love lives and all the various cars Beverly bought and drove. Being the Hot Rod Bunny series, there are car chases in every book. Some very harrowing! There are many road trips and opportunities for her and her friends to get into trouble! My intent was to have them entertaining to both hot rodders and romance novel enthusiasts. Not that these are great books in the romance department but they are humorous. And they are written so kids can read them without any worries for parents. 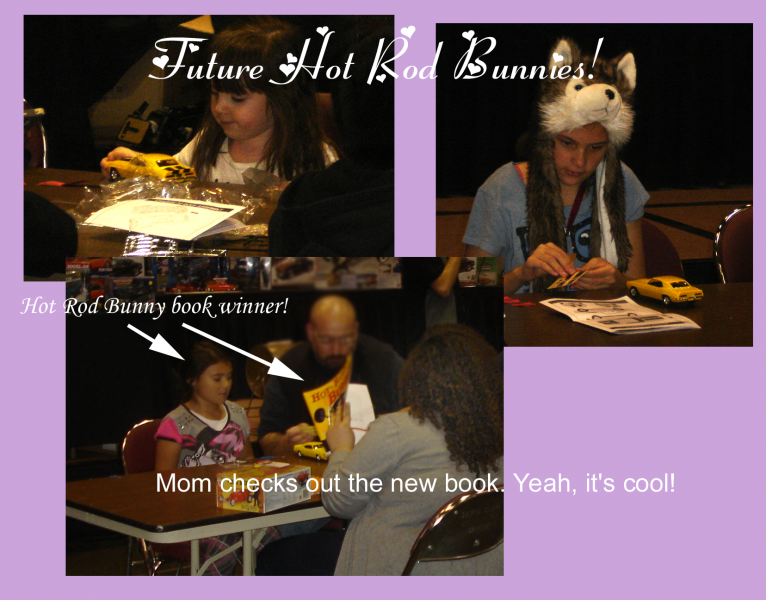 Who is the target audience for Hot Rod Bunny? Well, men and boys who love cars and girls who like a good romantic comedy!